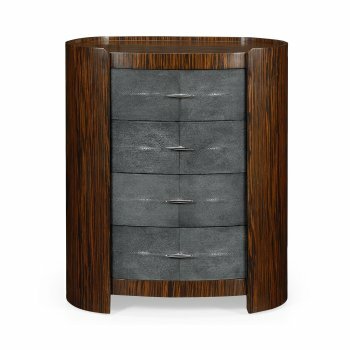 Luxurious Jonathan Charles Art Deco Leather 4 Drawer Chest with faux Macassar ebony veneers and anthracite tinted faux shagreen features 4 drawers with streamlined nickel handles. 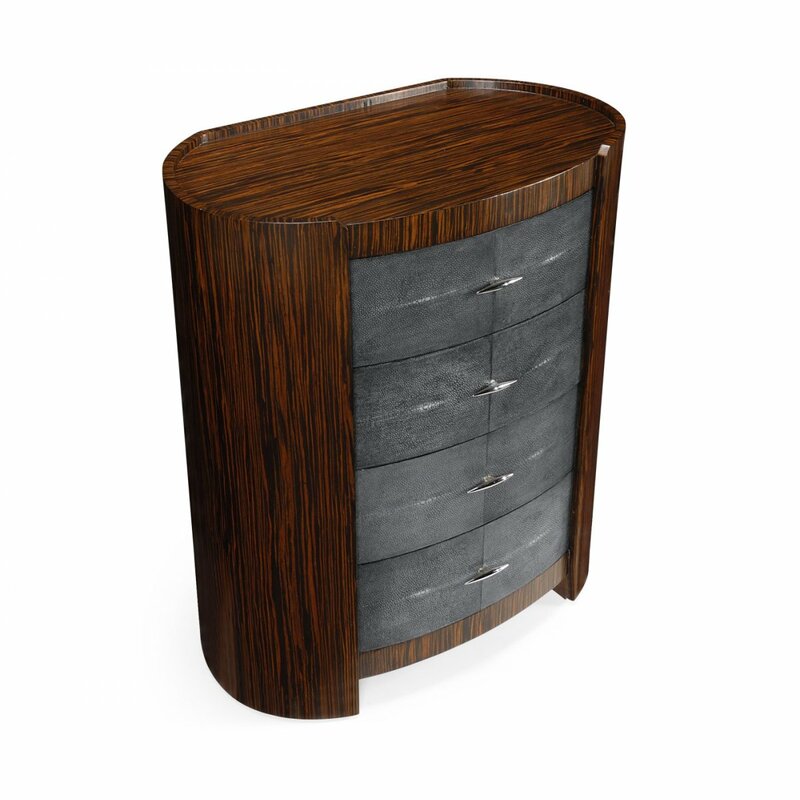 This stylish narrow, oval Vintage Style Chest of drawers would make an excellent addition to any bedroom or office. 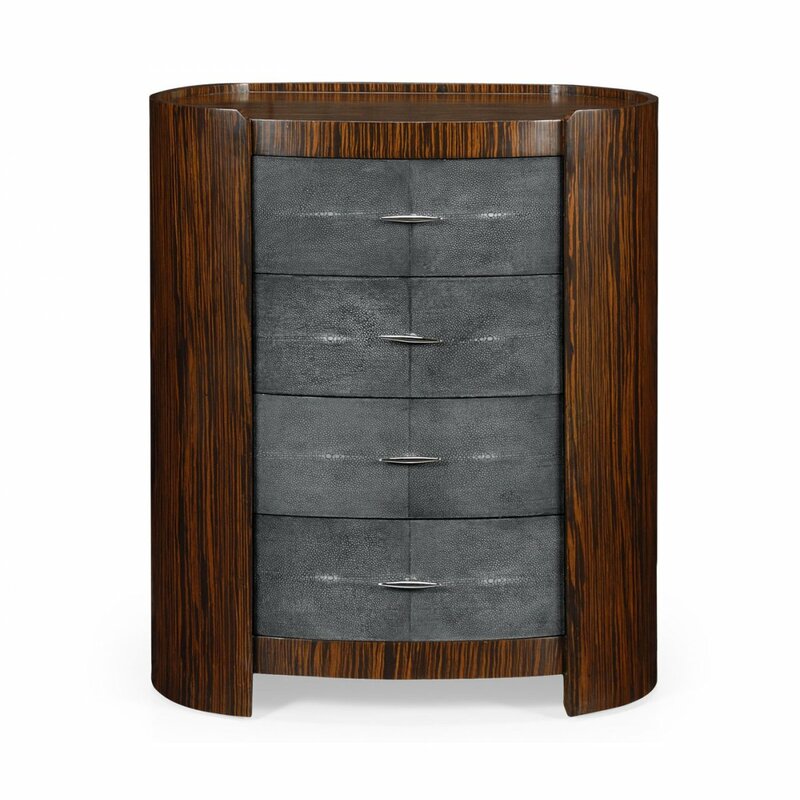 The Jonathan Charles Art Deco Leather 4 Drawer Chest has been manufactured to very high standards, ensuring dependability and a long lifespan. 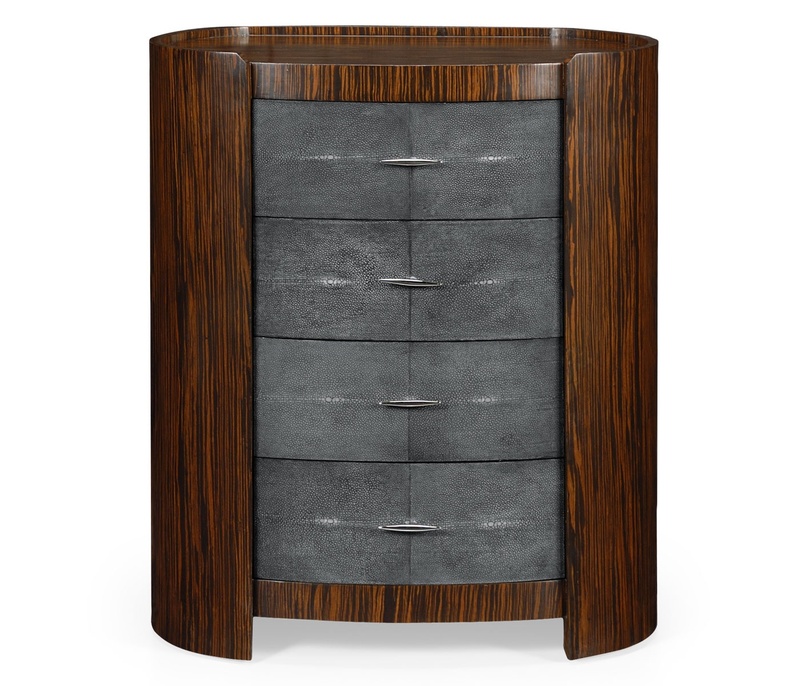 Pair it with the matching Jonathan Charles Art Deco Mirror, Art Deco Side Table or Art Deco Console Table (available separately) to complete the look. Based on original French designs of the 1920's.